Thank you! You were absolutely wonderful, the kids loved every minute!! One of the best entertainers I’ve seen in a long time. On behalf of the Friends of St Gerard’s PTA, staff & children, thank you and we hope to see you again soon! Thank you for this morning, on behalf of Scope Face 2 Face and all the families who attended the event this morning. You were brilliant! Kids loved it! From special Seasonal Events for preschoolers to offering interactive discos for KS1 and KS2, and the all important Yr 6 Leavers Bash, The Party Squad takes great care in making sure all the children take happy memories home with them! Whenever music is played we SCREEN ALL MUSIC and PLAY AGE APPROPRIATE MUSIC ONLY. Your school disco will be interactive, with unique games, that make The Party Squad stand out from the rest! We love for children and staff to get involved in games, and competitions, and of course kids love to receive points for their house! The Party Squad will work with you to make sure your school event is perfect from start to finish. – Yr 6 Leavers Bash! 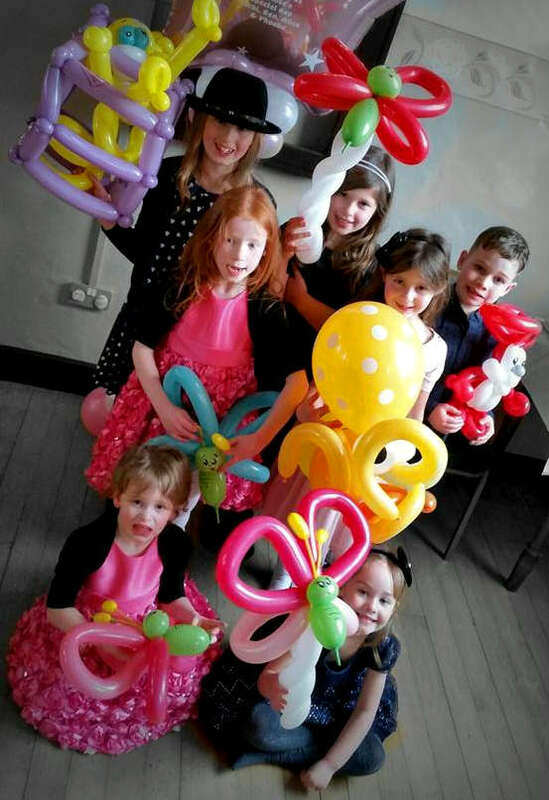 Ditzy Doodles delivers to you a fun filled 60 minute Balloon Twisting Workshop suitable for KS2 children. 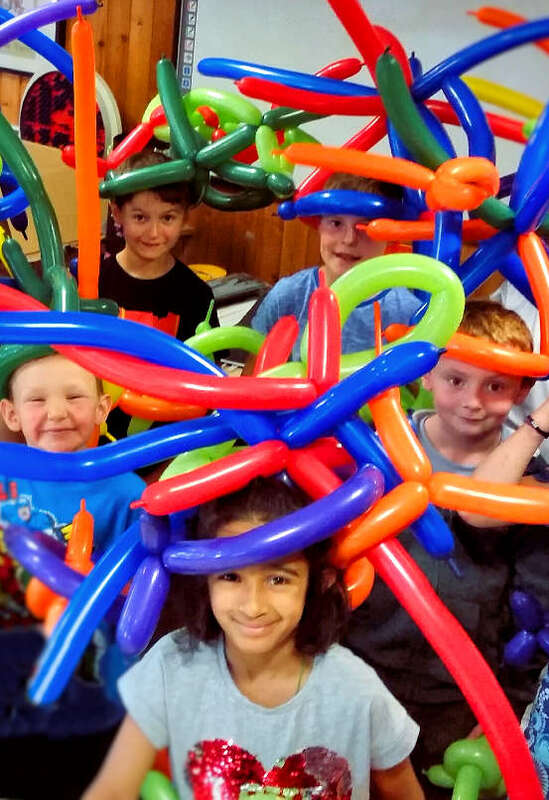 All the children (and staff) will love this hands on workshop and feel a sense of achievement when they get to take home their balloon creations. They will learn how to handle modelling balloons, where the latex comes from to make the balloons, they will get to make their very own swords, dogs and anything goes when they create their own CRAZY hats and if we have time we can all work together or in smaller groups to create structures and shapes. 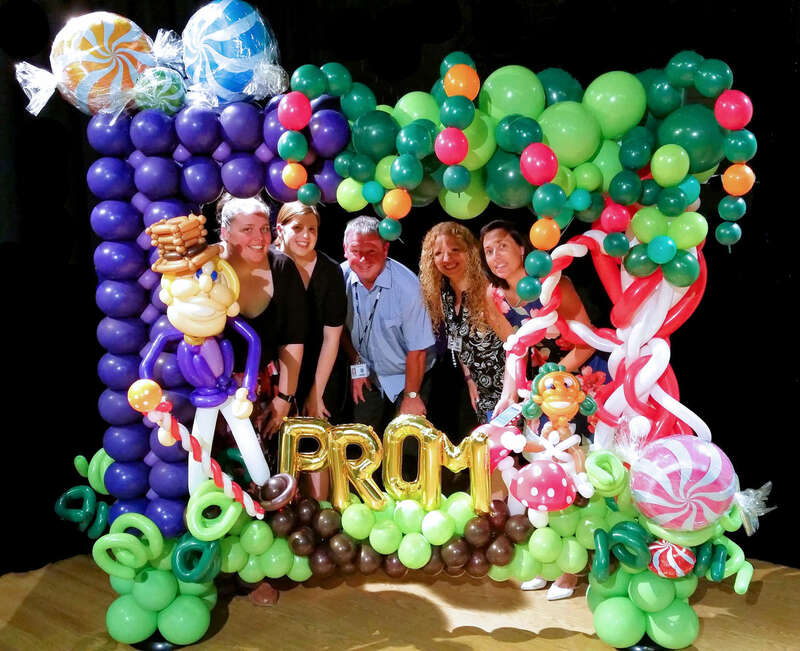 Perfect for Yr 6 or High School Prom, Balloon Selfie Stations are a great way of taking those memorable pics. Any theme can be created, can also incorporate school colours. Interactive Storytelling with a twist… of a balloon. Twisted Tales is just that! 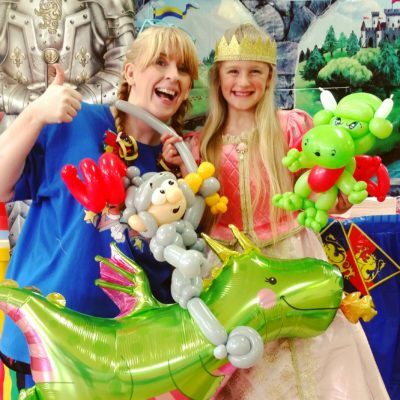 Children will join in and help shape the stories told using larger than life balloon creations. We will mash up characters and stories to create a unique twisted tale every time! Perfect for ages 4-11, the older the child the more twisted the tales become! This is a great hands on session lasting 1 hour. Unlocking the creative minds of the most reluctant of writers, this is a great way to get those creative juices flowing. A perfect treat on World Book Day! This is not only great for schools, perfect for After School Clubs, Libraries, and more! WHY NOT TEAM UP THIS PACKAGE WITH A BALLOON WORKSHOP!